Home » Science/Tech » Apple’s Lets Talk Iphone kick off on Oct 4- Iphone 5 Announced! Apple’s Lets Talk Iphone kick off on Oct 4- Iphone 5 Announced! The much anticipated Apple’s Lets Talk IPhone conference has begin and is under way. Tim Cook, Apple’s new CEO, the successor to Steve Jobs took to the stage around 1:02PM . “It is a pleasure to host you today.” And it is our pleasure to host you, readers. Tim then spoke about new Apple launch in Shanghai, China. At the Hong Kong opening, they sold more Macs on day-one than any other store in the world. So far, 6 million copies of OS X Lion have been sold — 80% more than Snow Leopard. The MacBook Air and iMac are the best-selling notebook and desktop models in the U.S. Mac sales outgrew PC sales by six times. Mac’s installed base now sits at 58 million — Apple’s PC market share now sits at 23% according to The NPD Group. The iPod launched 10 years ago, and now over 300 million iPods have been sold. Apple sold 45 million iPods between June 2010 and June 2011 alone. iTunes is now home to 20 million songs and it has served more than 16 billion song downloads. The iPhone 4 accounts for more than half of Apple’s total iPhone sales to date — it’s the No. 1 smartphone in the world with a 5% market share of all cell phones (not smartphones, cell phones). iPad customers satisfaction sits at 95% according to Tim Cook. 80% of the top hospitals in the U.S. use iPads and Cook also pointed out the device’s popularity in the educations sector. 92% of Fortune 500 companies have deployed iPads in some capacity. More than 250 million iOS devices have been sold at this point. IOS’s installed base share now sits at 43% compared to Android’s 33% according to Apple. Apple’s iOS App Store is now home to more than 500,000 apps, including 140,000 iPad apps. 1 billion apps are now downloaded from the App Store each month, and Apple has paid out more than $3 billion to developers. 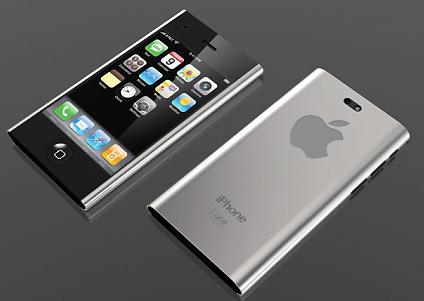 Iphone 5 to be announced? iOS 5 has been seeded to more than 100,000 developers and it includes 200 new features including new notifications (thank you) Newsstand and plenty more. Apple unveiled a new Cards app for iOS, which allows users to design cards that Apple will print and mail. It will launch on October 12th and cost $2.99 in the U.S. and $4.99 elsewhere. Game Center now has 67 million registered users. Apple’s iOS 5 will launch to the public on October 12th as a free update. Apple also unveiled a new iCloud-related service called Family and Friends that lets you locate other iOS users. Users can designate blocks of time during which their locations will be shared, and there will be robust privacy controls to ensure security. iCloud and iTunes Match ($24.99/year) will also launch to the public on October 12th. Apple’s iPod nano has been updated with multitouch support and new fitness features. There are also 16 new clock faces in the clocks app for watch accessories. The iPod nano is now $149 for the 16GB model and just $129 for the 8GB version. The iPod touch — Apple’s most popular iPod ever — now starts at just $199 for the 8GB model. The 16GB version is $299 and the 64GB version is $399. It’s also now available in white, as rumored. Apple also made the iPhone 4S official, as expected. It features the same Retina Display but sports Apple’s dual-core A5 processor and a dual-core graphics chip. The iPhone 4S battery can power through 8 hours of 3G talk time, 6 hours of browsing time on 3G and 9 on Wi-Fi, 10 hours of video playback or 40 hours of music playback. Visit Here to keep track of updates. 10-Year-Old Kid Finds Security Flaws in Mobile Games! Umemployment rate raises in more than Half of US States!! How Google Instant Search Works?